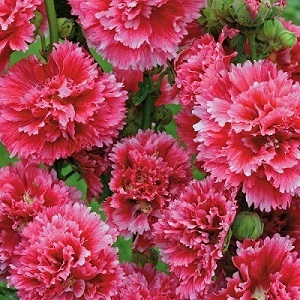 A double flowered Hollyhock, with spikes of cherise-pink flowers in June to September. These are good compact plants, growing to about 90cm in height, and work well in borders as well as pots. 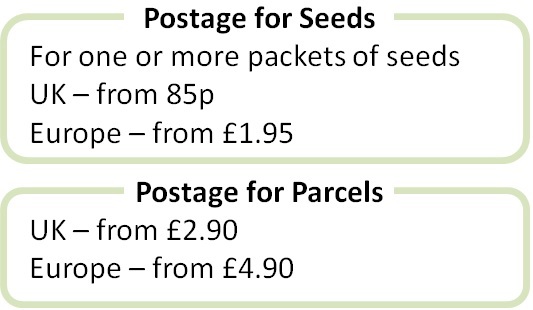 They tolerate drier conditions once established and make good cut flowers. Hollyhocks prefer full sun and a well-drained soil.